Considering a new piece of art for your home? Haven’t found what you’re looking for? Not to worry! I first spotted Mann’s work at the 2017 DC Design House. 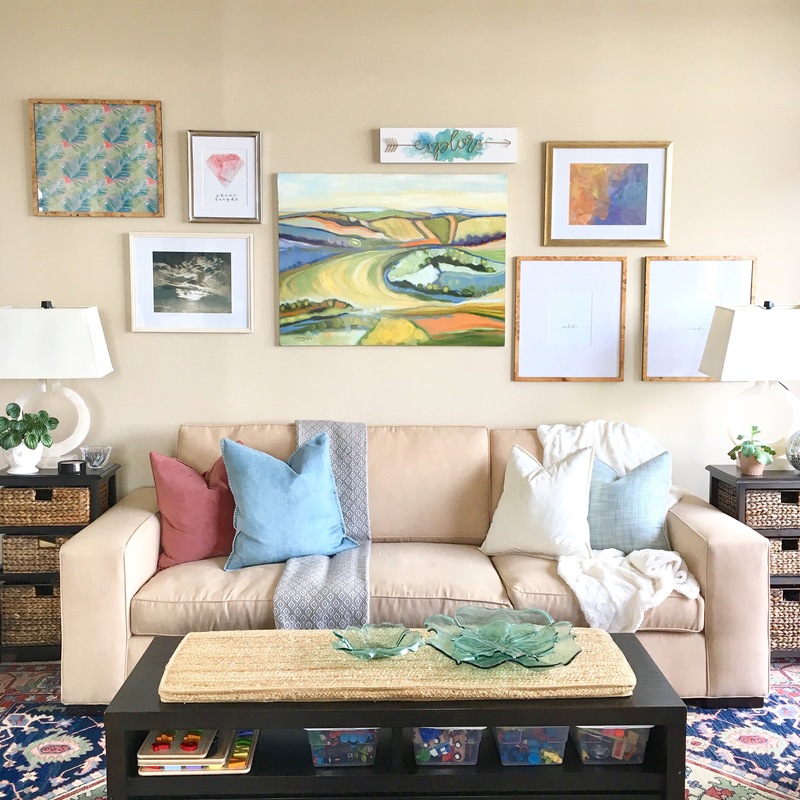 Marika Meyers Interiors, a full-service design firm in the DC/MD area, featured one of her paintings in this feminine space, imagined as a modern-day Lady’s Retreat. Click HERE to view more photographs of this must-see room. Click HERE to read more about DC-based artist Lanie Mann. Anna Matthews is a successful DC-based interior designer, so it is no surprise that she understands what will look amazing in your home. These versatile pieces could happily hang at a beach house by the sea or in a modern minimalist apartment (and everything in between). Peaches and tans are accented by touches of crisp black and swimming pool blues. Imagine if David Hockney’s A Bigger Splash had been deconstructed and reimagined as an ode to minimalism. In these paintings, Matthews captures the cool, relaxed vibe of a hot summer day by the pool. The abstract paintings of Laura Deems grab you a bit like a Rorschach test. Standing before her work, I found myself searching for the recognizable. Such is the brain’s desire to identify and categorize images. Am I staring at a Matisse-like face? Or a Miró dreamscape? Much like looking at clouds, the answers changed the longer I stared. The black gestural marks are softened by their colorful backgrounds. Thinned paint with free-form shapes give the impression of watercolor. A natural tension exists here between strong and soft, making these pieces completely captivating. Click HERE to read more about Charleston, SC based Laura Deems. Want to know more about one of the artists highlighted above? Let’s chat! Contact me today and let’s find the perfect piece for your space!